If you’ve ever suffered from frizzy hair, then you know the daily struggle that is keeping it under control. My hair is thicker than most, plus it’s getting fairly long, so frizz was almost a certainty when bathing in East Bay water. Short of forking out for a new shower head from Sephora that reduces chlorine, I made it my mission to figure out how I could reduce the frizz without the hassle. I’ve tried it all, so these are my top tips for smoothing your tresses and breathing some well deserved life into dull, lacklustre locks. The solution lies in the shower, where a lot of the moisture can be lost resulting in unmanageable hair. I used to swear by hair masks, but that was before the days of California chlorine, so I’ve had to switch up the game! 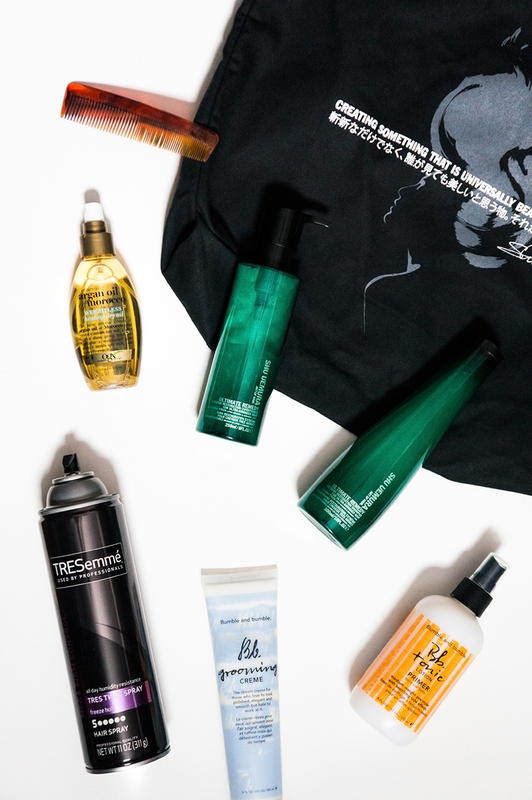 First step is to choose a high quality hair duo like the likes of Shu Uemura Art of Hair Ultimate Remedy Extreme Restoration Shampoo and Conditioner. Not only does it smell incredible but it’s formulated for ultra-damaged hair, nourishing and smoothing the hair fiber while giving some much need aid with it’s lotus infusion. After my first use I could see a notice difference in the quality of my hair, so have continued ever since. After a gentle ’t-shirt’ dry, which is much more beneficial for you than a towel, it’s time to get out the heavy healers. A few small pumps of OGX Argan Oil of Morroco Weightless Healing Dry Oil combed through from mid section to the ends is like a miracle elixir. A little goes a long way, and avoid spraying into the root for fear of greasy hair and having to jump back into the shower to wash your hair again! With frizzy hair, the less you wash it the better condition it will be, so aim for a maximum of three washes a week, trust me, your hair will thank you for it. Then comes the styling options. hairdryers and straightening irons strip your hair of moisture just as quickly as you’ve put it in. My best piece of advice is to try and let your hair dry naturally, so washing it at night makes this process much simpler. I use three products in total depending on what I’m going to be doing that day. If I’m working from home, or just don’t need to leave the house that day, I reach for Bumble & Bumble Tonic Lotion. This was recommended to me by a hairdresser friend, and it works wonders. A couple of spritzes, avoiding the roots, and combed down to the ends and it’s like I’ve given new life to my locks. If I’m making an effort to go out with friends or it’s date night, I use a combination of Bumble & Bumble Grooming Creme smoothed into my mid sections, rough it up a little and use my fingers to work through any uneven sections. Then I finish with a touch of TRESemmé Hairspray directly onto a comb and brushed all the way through from root to tip. Et voila! What do you use to keep the frizz at bay? Received Shu Uemura products for free for review, all opinions are my own. For more information, see disclaimer. 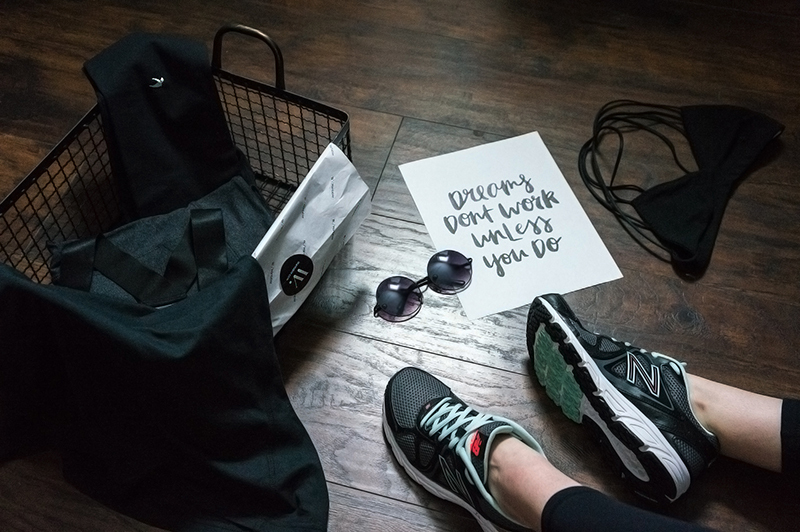 New Year, New You. I’m sure we’ve heard that phrase more times than we could count, especially around this time of year. I’ve been pretty realistic with my goals and ‘resolutions’ for 2016, choosing to keep them vague enough that I won’t be disappointed come New Years Eve when I haven’t achieved as much as I thought I might. Okay, I know, I know, it’s not Christmas anymore. It’s February now and I’m harping on about a box from Influenster called the Jingle Voxbox! But, I didn’t receive it until about a week or two into January, so you’ll have to excuse the lateness. Yet, who doesn’t love a little festive cheer after the holidays? Just me…? Getting stuck in, there were some real gems in this box but then some things I’m not really head over heels about. I feel like I should start with what didn’t get me overly excited; Ore-Ida Tater Tots Coupon. I’m sure this thrilled a few people, but I don’t eat tater tots and I’ve been sticking to a much healthier diet since November. It’s been given to my in-laws in the hopes that it’ll be used and enjoyed! Then I had been a little excited knowing that there was going to be an Itty Bittys in my box during the lead up to it arriving. I saw some people had received Spiderman or Olaf (which I would have adored), but I was given a Rapunzel which is just a little girly for me. Disheartening as I don’t even have anyone I can give it to, and I am crazy about the little BB-8 and Rainbow Brite editions. Enough of the downers though, I’m ready to talk AWESOME. I’ve had a few pairs of KISS lashes before, and these are simply stunning. Made from natural hair, they give real volume and look more natural than most falsies on the market. The addition of the KISS strip lash adhesive with Aloe was an interesting touch. I’ve found that wearing false lashes with contact lenses can sometimes leave my eyes highly irritable even just a few hours after applying them. Until recently I’d been using another brand, but the fact this is hypoallergenic and sports the ‘contact lens friendly’ label has made this a go-to. It doesn’t even smell like most lash glues out there, which was a welcome change, and it’s pure black which means that it hides my terrible application technique. I figured I could start using eyeliner in a grungier fashion, so the NYC New York Color City Proof 24HR Waterproof Eyeliner Pencil is just the right kind of soft liner to use. The colour is a soft brown, so it pairs better with being smoothed over the lids than a black one would. If you want a fine point, I’d stick to liquid, this is easy to apply but doesn’t do sharp lines well. Hidden in the box was a little tub of Cetaphil, a real lifesaver in the winter. Despite it being California and ‘sunny’ all the time, the last few weeks have seen a real cold streak with rain and wind aplenty. Add to that how hard the water is here, you’re looking at a recipe for perpetually dry skin. I love applying this moisturiser, within seconds it’s seeped in, doesn’t leave a greasy residue and lasts for hours. I’ve taken to putting on a thick layer before I drift off at night so I wake up with baby skin the next day. If I’m not using it on my face, I’m applying it to my cuticles ready to apply a new nail colour. Pretty handy when I discovered a beautiful shade of blue from Pure Ice called French Kiss. Application is a little harder with darker colours, but it means that after just one coat it would appear passable from a distance. Two coats is certainly all it takes, and it dries fairly quickly. The final, but probably favourite, item in the box were three packets of Biscoff cookies. I actually used to buy these most weeks back when I lived in the UK, they were inexpensive and tasted great with a cup of tea but also with coffee. They have an almost mild spicy flavour (due to the cinnamon) to them which I adore, and I find it very difficult to stop at just one or two. Despite the healthy eating, the husband and I like to snuggle under the duvet with a couple of these with a good movie and a steaming hot cuppa. Yum! 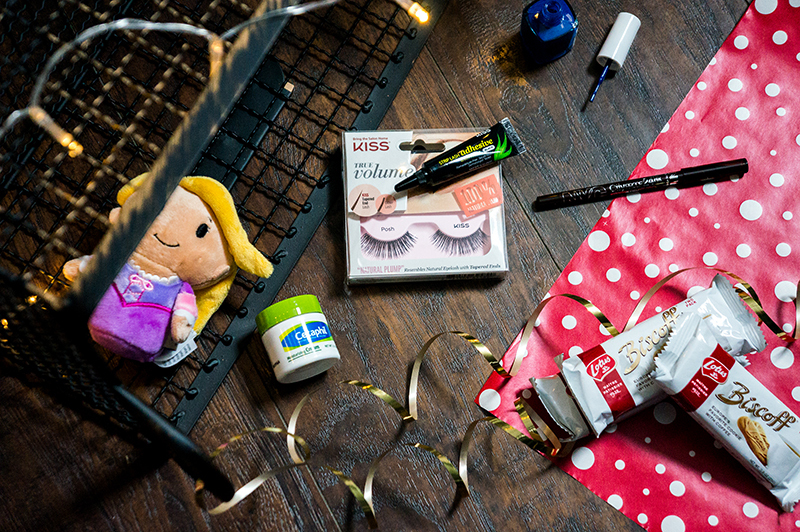 Do you have any of the items in the Jingle Voxbox? Received products complimentary for testing purposes, all opinions are my own. 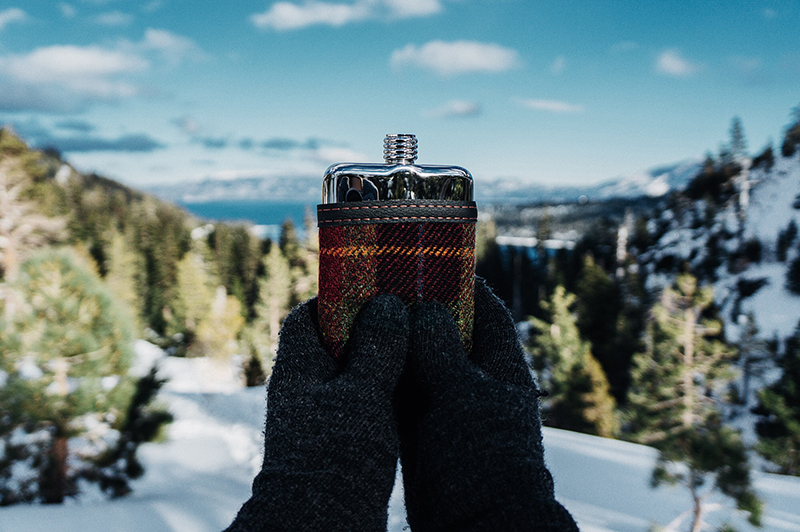 There’s something magical about Tahoe in California. I’d been once before for a romantic getaway, but the snow had melted off, and the lake was looking despairingly low. This time, we were invited by friends to ring in the new year in a cabin in the woods, soaking in the atmosphere and hiking until we collapsed in an exhausted heap by the fire. It was probably the best time I’ve had for a New Year’s Eve. Since moving countries and having to be more than a little frugal with my spends, I’ve not truly treated myself to much in the beauty department. Clayton actually got me a Sephora gift card for Christmas, which I’ve not had much of an opportunity to browse, but I already know I want to do the sensible thing and invest in a showered that’ll reduce the chlorine. Oh the joys of approaching 30! With that said, I was delighted when a sparkly beacon of intense ‘lashness’ landed on my doorstep, thanks to Influenster and their wonderful Voxboxes. 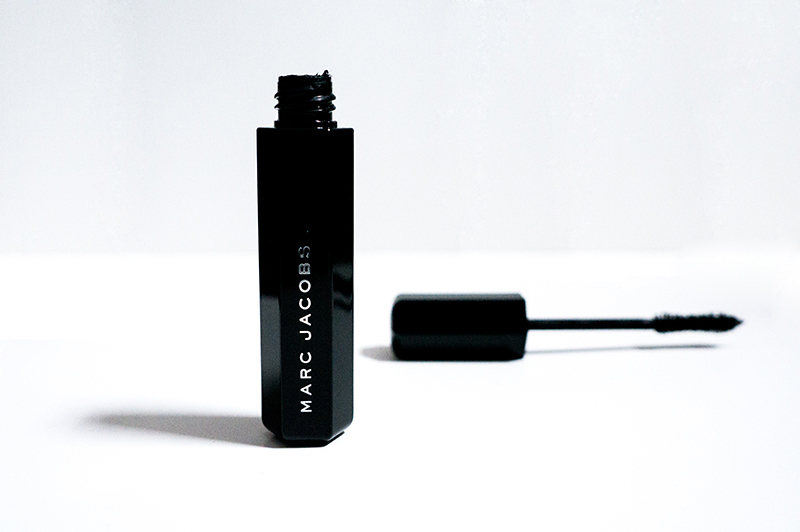 The Marc Jacobs Velvet Noir Major Volume Mascara is a gorgeous product inside and out. My first impressions were that I wanted to just keep it out on the dresser to marvel at the shape, it really is the prettiest mascara I’ve ever owned. Then I worked up the courage to load up the wand and actually apply it, which was a pretty good job as I’ve not used anything else since! Can we talk about volume for a second? VOLUME. Man it’s been a while since I’ve seen so much of my lashes, especially as I’ve all but reduced them to a sparse fluttering. One coat is good if you’re not that big into seeing your eyes pop, but a decent second coat and you’re stepping into “is she wearing false lashes?” territory. If you’re all for coating your bottom lashes though, I’d probably switch to either a dedicated bottom lash mascara or just a basic brand as it loads more than I’d be happy with and makes me look a little doll-eyed. Mostly I don’t put mascara on the bottom lashes, but if I mastered a way to do it with this mascara then it would be a winner as I haven’t seen this stuff smudge yet. It’s a massive bonus that it’s the deepest black pigment I’ve yet to experience in most mascaras. The only one I could compare it to would be Le Volume De Chanel, which was the only time I’ve ever purchased a mascara over the price of a tenner! What is nice to see is that it’s nearly $10 cheaper over here than the Chanel offering, at $26 it’s worth the investment. Marc Jacobs has been a breath of fresh air in what has become a stagnant market for me, so much so that I’ve been eyeing up the rest of the beauty collection! What do you think of high end mascaras? Are they worth the money? Received Marc Jacobs products for free from Influenster for review, all opinions are my own.